National Handwriting Day - Pen to Paper Link up! And in the spirit of handwriting.. I am including this handwritten message my husband left for me Tuesday Morning! Here's husbys handwritten letter that he left for me yesterday morning! So Sweet! 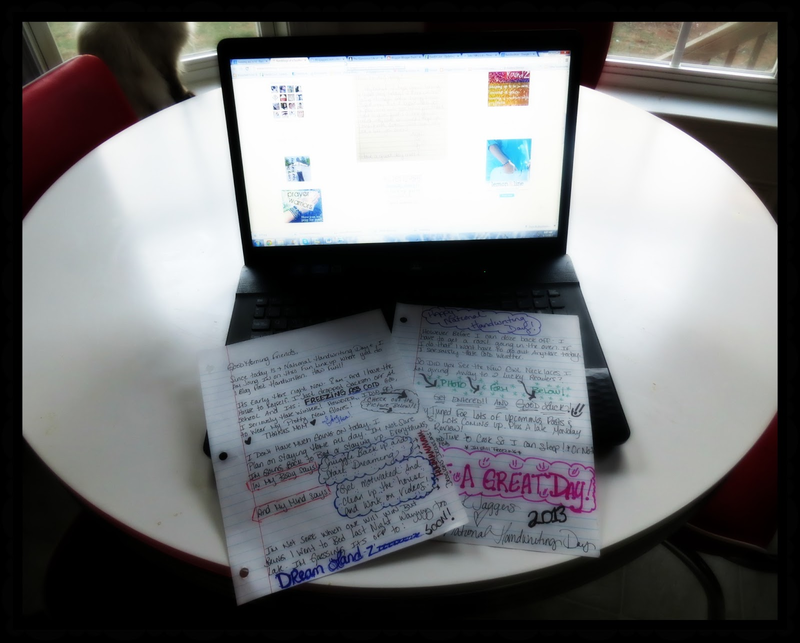 If you want to join in on the fun.. hand write your blog post and link it up right here! Ohhh and here are those gloves I was telling you about! 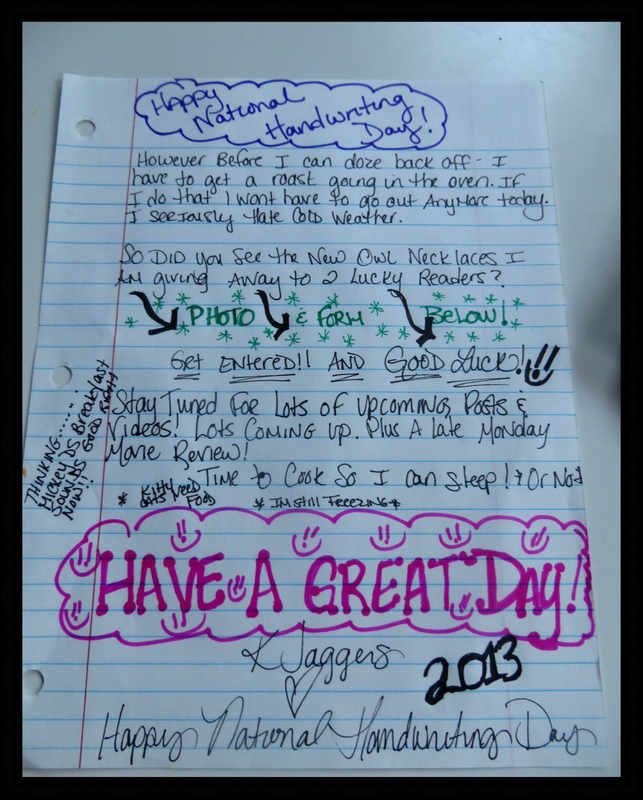 3 comments on "National Handwriting Day - Pen to Paper Link up! " Seriously the SWEETEST lover's note on your whiteboard EVER. Thanks for sharing your day and linking up with us for national handwriting day. Um... that note from your hubby is awesome. Love it. And I loved your crazy, doodled-on, colorful handwritten post!! You and I are two peas in a pod! Coming to you from the linkup! I'm #4. @ Brooke.. I am a doodler..I think I doodle on just about everything! That was an awesome morning note..wasn't it!? Gotta love that man!